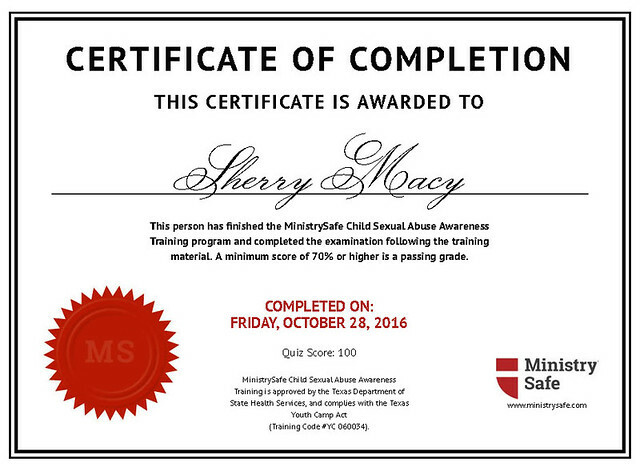 After procrastinating as long as I could, I finally took the online sexual abuse awareness training course and quiz, which was asked of the staff and everyone in leadership positions at NFC, including elders/stewards/trustees and anyone working with youth and younger. It took me an hour to watch all nine sessions, and because I am a terrible test taker and fear failure, I took lots of notes to ensure a passing grade. I learned in the course that even the suggestion (verbal) of tricked, forced, manipulated, or coerced sexual activity is sexual abuse, which means by that broadened scope I’ve been sexually abused. In fact I could name several instances of such behavior toward me, yet I bear only the memory, not any trauma from it. These memories go way back in my history and involve anonymous classmates and acquaintances I’ve long since lost contact with. No family or anyone close, to be abundantly clear. Interesting that taking this online course stirred up long-buried experiences, which was probably not their intention at all. But it makes my heart bleed for all those who have suffered traumatic abuse in their past—and in their present.